Vanity Desk: 58"W x 15"D x 32.5"H - 157lbs. Optional Vanity mirror: 42.25"W x 1.75"D x 41.75"H - 46lbs. Optional Vanity Stool: 20"W x 21.75"D x 25.75"H - 26lbs. Just received the Ilana Vanity from 1StopBedroom. There was quick delivery and friendly customer service. I recommend it for anyone. 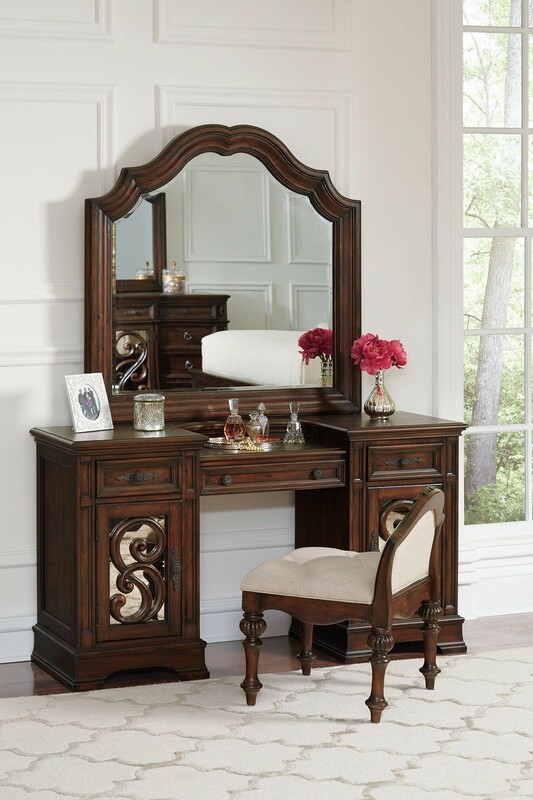 You wouldn't expect such a fair price for such a beautiful Vanity, so I'm telling you: the Ilana (I bought the Vanity) is one of those uniquely designed lines that can please everyone, in any setting. I am always working and needed a Vanity. I went to 1StopBedrooms Ilana and was pleasantly surprised. They are made of quality materials and are very stylish. Who has two thumbs and has an awesome new Vanity?? THIS GUY! 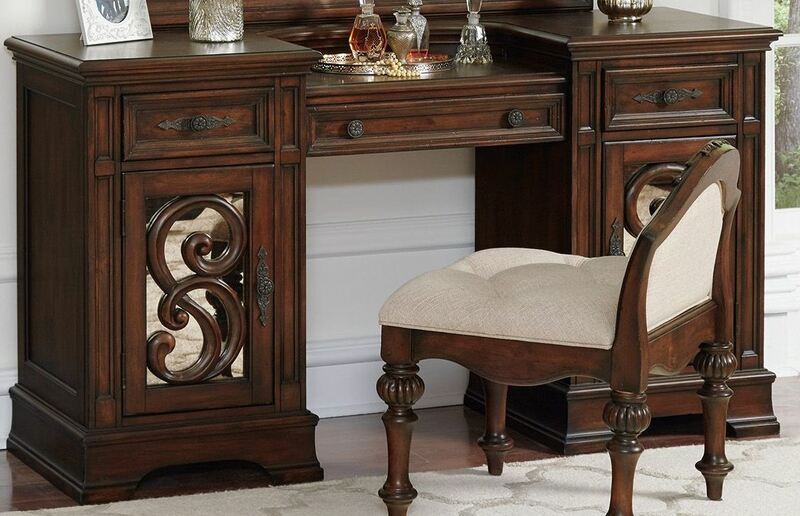 I love my new Vanity from the Ilana! Yes!